Britain’s Tyson Fury says he wants his WBC heavyweight rematch with Deontay Wilder to take place at Manchester United’s Old Trafford ground. The Manchester-born fighter, who watched United’s Premier League match against Arsenal on Wednesday evening, said he is eyeing up a UK venue next. “Frank Warren said Arsenal but I said ‘no, let’s have it at Old Trafford'”. 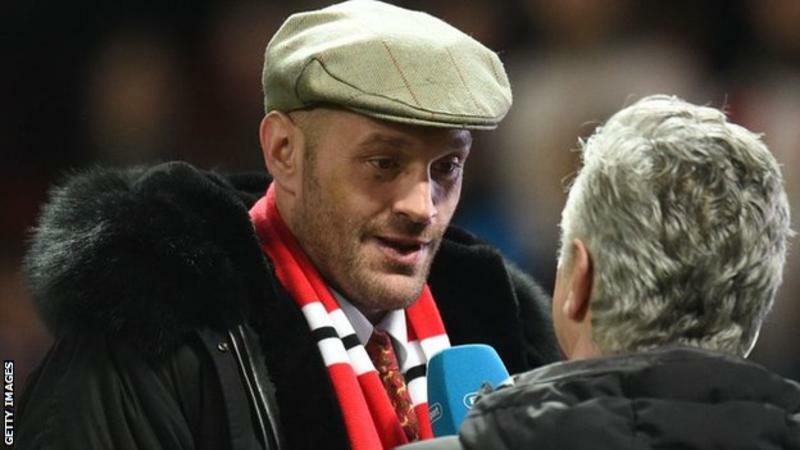 Wearing a Manchester United scarf, Fury told BT Sport during half-time of the match that the fight would “hopefully be in the summer”. Saturday’s fight was scored 115-111 for Wilder, 114-112 for Fury and 113-113, with Alejandro Rochin the judge who had the American as the winner.